Yes, it's much too early to jump to conclusions, but even the suggestion that Carlos Ghosn committed corporate fraud is an insult to this man, his character and his many achievements. I, and many other close friends, have met Ghosn and he is as straight up a guy as you would want leading your company. Two very close auto industry friends of mine have worked very closely under him, separately, for years and have the highest regard for what he has done to pull Nissan back from the abyss, and to create the very strong Renault-Nissan-Mitsubishi-Alliance. 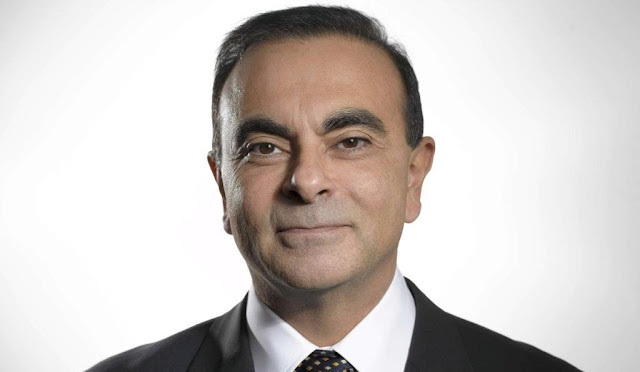 Ghosn has also signed a number of joint ventures with Daimler AG Chairman, Dieter Zetsche (another executive with an unblemished record, and honest character), and I am certain that Zetsche would never have dealt with someone even remotely capable of corporate fraud. My guess is that this is the work of a strong cabal inside Nissan which wants to get rid of Carlos Ghosn, because they are suffering major loss of face that it was this Brazilian-born 'wunderkind' who pulled Nissan back from the abyss. The current senior Nissan management are in fact a bunch of old dogma donkeys, who want Ghosn out, and will do anything to achieve that. It wouldn't surprise me that any fair and transparent investigation will show that it was Nissan itself which was responsible for under-reporting Ghosn's Japanese incomes, via its own Japanese federal filings. How easy would it be to 'fiddle the figures' over a period of years, and then call 'foul'. Let's wait and see how this plays out, but personally, I wouldn't believe any statement that comes from the Nissan Japan PR machine. For starters, the head of Nissan PR in Japan can't even speak or read English! NOTE: I have sought advice from an Australian-born accountant who spent 20 years in corporate Japan, dealing with tax and income filings. He says it is actually Nissan's responsibility to ensure the remuneration filings are correct. His initial reaction is interesting. His first question is: "Why would the head of the company which Ghosn saved from certain financial collapse (a well-known circumstance in corporate Japan), be the person who reports Ghosn for inaccurately submitting his details?" His reaction continued: "It is well known in Tokyo that the Japanese Nissan hierarchy despise Ghosn, and have actively been seeking any way to have him barred from any future influence at Nissan."